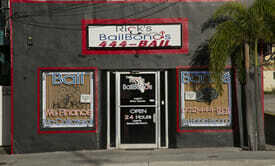 Rick’s Bail Bonds prides itself on years of excellent service to you in Fort Pierce and Saint Lucie County by facilitating the fastest, very efficient and easy release from jail of your loved one. Most noteworthy, we provide this service for Bail Bonds Fort Pierce and Bail Bonds Saint Lucie County. We are located near the St. Lucie County Jail. We are available 24 hours a day, seven days a week and offer instant bail, a digital method allowing you to sign via your smartphone or PC. Due to our office centrally located in Fort Pierce, we post bail for your loved one within minutes of receiving your information. We offer fast service as well as 24 hours service! We understand how difficult this time can be. For that reason we are committed to offering fast, affordable and discrete bonding services to accommodate all clients. Because we are located in Fort Pierce and St Lucie County we quickly post bond for you or your loved one anywhere in the surrounding St Lucie County – day or night. We offer instant bail, a digital method you can use to sign from your phone or PC. No travel or paperwork are needed. We have been in the industry since 2000 and are one of the most trusted bonding companies in St Lucie County Florida. See our Google Reviews. Our customers continually complement our high level of service and attention to their trying situation because we quickly respond. 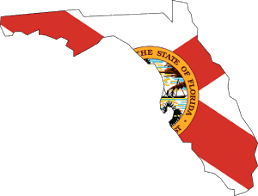 Rates for bail are regulated by the State of Florida and set at 10% of the bond (with minimum of $100 per charge). In addition, many times no collateral is required. By co-signing for a loved one, you are guaranteeing the he/she, the defendant, will appear to all of their court dates until the case is closed by adjudication or dropped. Visit our FAQ page if you are unfamiliar with the process and review the list of recommended Question and Answers that will help provide insight into the overall process. Better yet, give us a call and our friendly and expert staff will explain the process and provide the necessary paperwork quickly. You can complete the paperwork from your phone. No need to leave your home. Rick’s Bail Bonds Services has a 5 Star Client rating!